People with spinal injuries often experience great support during rehabilitation, which helps them become as independent as possible before they return back home after their injury. Some feel that after rehabilitation, they can still recover even further or they simply want to try other alternatives for a possible recovery or a cure. Despite of all the technological advances, professionals still agree that exercise is the key component for every recovery. That is why the Alton Paas Foundation has been working with Eric Harness, founder of Neuro Ex. Eric Harness is a leader; a world-renowned specialist and innovator who works with people with a neurological injury or disorder, using activity-based training to recover function. Recent research has shown that recovering function after a neurological injury or illness may be possible. These studies include damages caused by a spinal cord injury, stroke, traumatic brain injury, multiple sclerosis and ALS. The research shows that recovery is facilitated through an increase in neural plasticity brought about by intense “activity-based” restorative exercise. An “activity-based” program is characterized by its focus on recovering function in the affected areas of the body through repetitive, patterned motor activities and the reintroduction of gravitational loading. 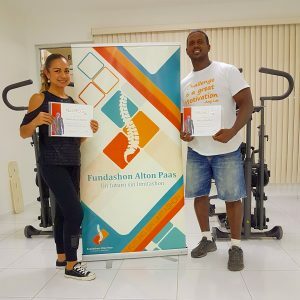 This program has been the catalyst in making a difference in a lot of lives worldwide and we have therefore embarked on a journey to make this knowledge accessible to more people through a unique partnership between Neuro Ex and Fundashon Alton Paas. 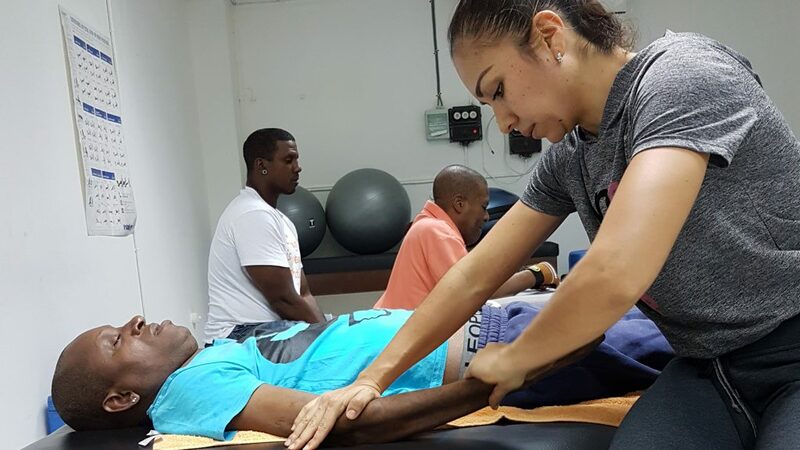 That partnership has now led to making Fundashon Alton Paas, with her facility the Curaçao Neuro Physical Activity Training Center, known as the AP Center, the first facility in the Caribbean to be certified by Neuro Ex on activity-based training. In the past, most people in the Caribbean and Latin America had to travel to the United States to apply for an “activity-based” program. Now, since Fundashon Alton Paas is in Curaçao, it is a more central location as well as a more cost-effective option compared to the United States for people residing in the Caribbean and Latin America. Activity-based training started back in 1995 with Christopher Reeve. Not many believed in it back then and it has taken a long time for doctors and therapist to finally acknowledge that the activity-based training does in fact help improve function. Each injury is distinct and each person is different so, every outcome is individualized to each person. There may not always be an increase in neurological level by doing activity-based training but you will definitely gain balance and core strength which improves posture. There has been a blog published last year on the Perception Of What Is Possible For Someone With A Spinal Cord Injury that is Finally Changing. 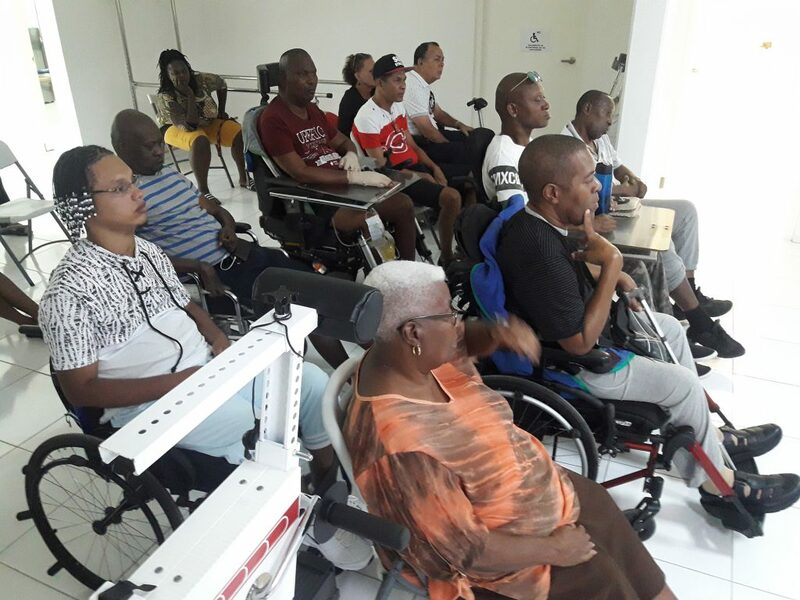 Fundashon Alton Paas has now started a special project with 12 individuals with the support of the local government, to improve the quality of life of people with spinal cord injuries which you can see on this video.